We had a great response to our social media promotion, our thanks to all those who took the time to connect with us online. 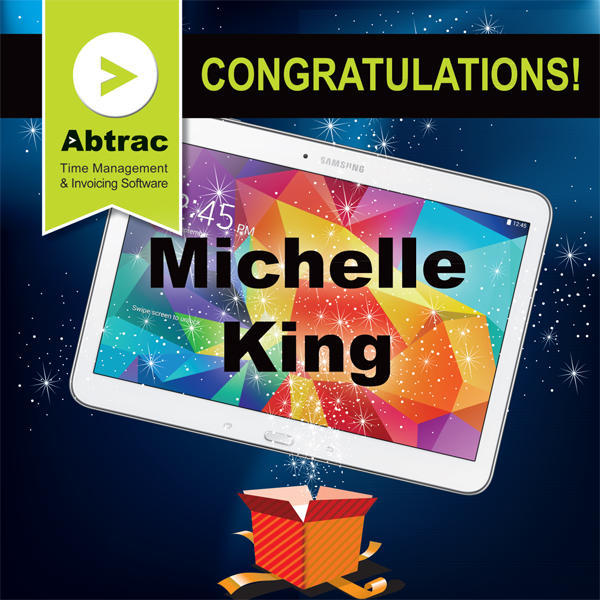 Congratulations to Michelle King who is the WINNER of the Samsung Tab4 valued at $529! Now you’ll be able to manage your contacts, jobs & timesheets on the go. Enjoy! This entry was posted in General, Tips & Tricks and tagged facebook, linkedin, Samsung tablet, social media, twitter by Jen. Bookmark the permalink.